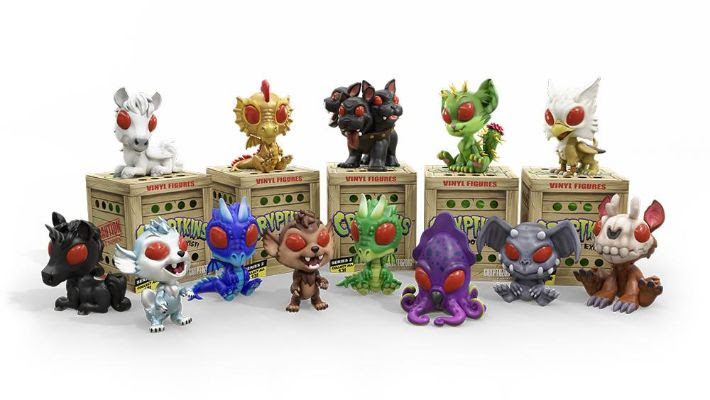 At Booth #5357, Cryptozoic will feature several upcoming vinyl figures, including CryptkinsTM: Series 2, Wonder Woman Movie Collectible, Trover from Squanch Games’ forthcoming video game Trover Saves the Universe, and Freddy Krueger, the first figure in the new Vinyl TerrorzTM line. In addition, the company will show the premium Wonder Woman: Princess of Themyscira Statue, which reimagines the character as a classic Greek sculpture. Cryptozoic will also highlight two forthcoming titles that use its new Gryphon card game engine: Challenge of the Superfriends Card Game and Rick and Morty: Looks Who’s Purging Now Card Game. Finally, it will display new trading card sets based on Outlander and Rick and Morty. 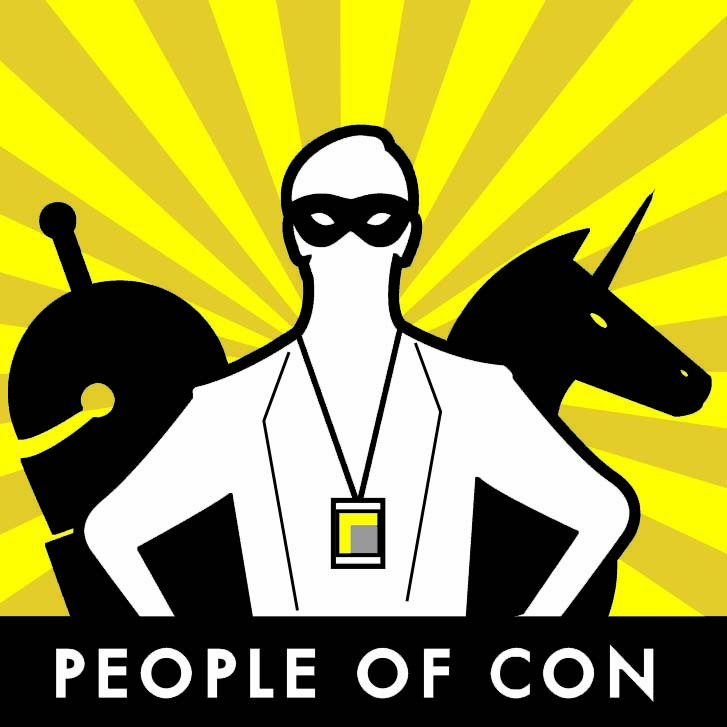 CryptkinsTM: Series 2: The second set of 2.25-inch figures based on Cryptozoic’s popular original IP features Kraken, Cerberus, Unicorn, Gryphon, and Blue Dragon, among many other creatures that have been the subject of folklore and tabloid headlines. It includes 13 vinyl figures in all, plus six hard-to-find Bone-Chilling Variants that feature bones painted on the exteriors of the figures. Each figure comes packaged inside a collectible blind-reveal miniature crate that includes a Bio Card with a drawing and additional information about the creature. Vinyl TerrorzTM: Freddy Krueger: The first figure in Cryptozoic’s new horror-inspired Vinyl Terrorz line is based on the iconic character from the long-lasting A Nightmare on Elm Street film series. It features the character’s trademark gruesome face, fedora, and clawed glove. The 7-inch figure comes inside a display-worthy window box. Wonder Woman Movie Collectible: Based on the recent portrayal of Wonder Woman on the big screen, this figure reflects the power of the iconic Amazonian princess, as she wields a sword and wears her trademark armor, seemingly ready to battle at a moment’s notice. Designed by Pedro Astudillo and sculpted by Anders Ehrenborg, it features the Wonder Woman logo on the base and is packaged inside a display-worthy window box. Wonder Woman: Princess of Themyscira Statue: Inspired by the character's ties to Greek mythology, the marble-colored polyresin statue reimagines her as a classical Greek sculpture. Paying homage to the famous Venus de Milo, it measures 12 inches from the base of the plinth to the top of the spear and features gold-accented versions of the Super Hero's iconic bracelets, lasso, and other accessories. The spear is removable and the shield is inscribed with Wonder Woman's classic epithet in Greek lettering. It comes packaged inside a full-color closed box. Trover: This stylish figure is based on the lead character from the upcoming video game Trover Saves the Universe, created by Rick and Morty mastermind Justin Roiland and soon to be released by Squanch Games. It features four unique, interchangeable "power babies," which can be plugged into the figure's eye holes (they give Trover different abilities in the game). The 7-inch figure's wrist articulation allows collectors to swing the attached sword. Challenge of the Superfriends Card Game: Based on the classic TV series, this game uses Cryptozoic’s new Gryphon card game engine for fast-paced, easy-to-learn gameplay for 2-4 players. Taking on the roles of Superman, Wonder Woman, Aquaman, and Batman and Robin, all players simultaneously reveal their Power Cards to call forth allies or Super Powers that can change the course of the battle against the Legion of Doom. Rick and Morty: Looks Who’s Purging Now Card Game: Based on the popular episode of the TV show, this game utilizes Cryptozoic’s new Gryphon card game engine to deliver gameplay that unfolds at lightning speed and is easy to learn. It features simultaneous play, as 2 to 4 players become Rick, Morty, and others and play their Weapon Cards cards at the same time to rack up kills during the annual Festival. Outlander Trading Cards Season 3: This is the first trading card set for the hugely popular series to feature Autograph Cards signed by Caitriona Balfe (Claire Randall Fraser) and one-of-a-kind Sketch Cards from some of today’s hottest artists. Based on the third season of Starz’s time-travel drama, the release includes a 72-card Base Set, four Chase Sets, and randomly inserted Autograph, Wardrobe, and Sketch Cards. Rick and Morty Trading Cards Season 2: The second trading card set for the hit Adult Swim TV series features a 45-card Base Set with images from Season 2 episodes, eight Chase Sets, and randomly inserted Sketch and Autograph Cards. Signers include several notable members of the series voice cast. Rick and Morty co-creator Justin Roiland signed Autograph Cards and drew one-of-a-kind Sketch Cards for the set.